Machining, forging, engraving and extrusion often leave sharp edges, burrs, notches or protruding surface defects on machined parts which interferes with the smooth operation and function of the part, possibly causing injuries or production delays. Burrs can cause further problems such as areas of stress or weakness, shortened fatigue life or decreased fracture resistance that can cause heavy loss in terms of money and material to a manufacturer. Vibratory finishing is a common method of mass finishing as many parts are able to be processed at one time due to the wide variety of tumblers and materials available for abrasion. As the drum or barrel vibrates, it causes the deburring media to rub against the unfinished parts in a cyclonic movement towards the center bottom of the drum. The friction, or grinding, between the abrasive tumbling media and the parts smooths the edges and removes burrs caused by seams or extractions. Industries such as automotive, electronic, consumer and medical all use vibratory finishing in order to achieve a smooth and precise finish. Deburring media commonly used includes steel, ceramics, plastics or natural materials such as corn cob or walnut shells. The type of media used in the process is determined by the hardness and complexity of the parts requiring finishing. Vibratory Finishing – KADIA-TBT Inc. The variety of levels of abrasion and media hardness allow vibratory finishing to be used to meet a wide variety of finishing needs including heavy deburring, light deburring, burnishing, polishing, buffing and coating. 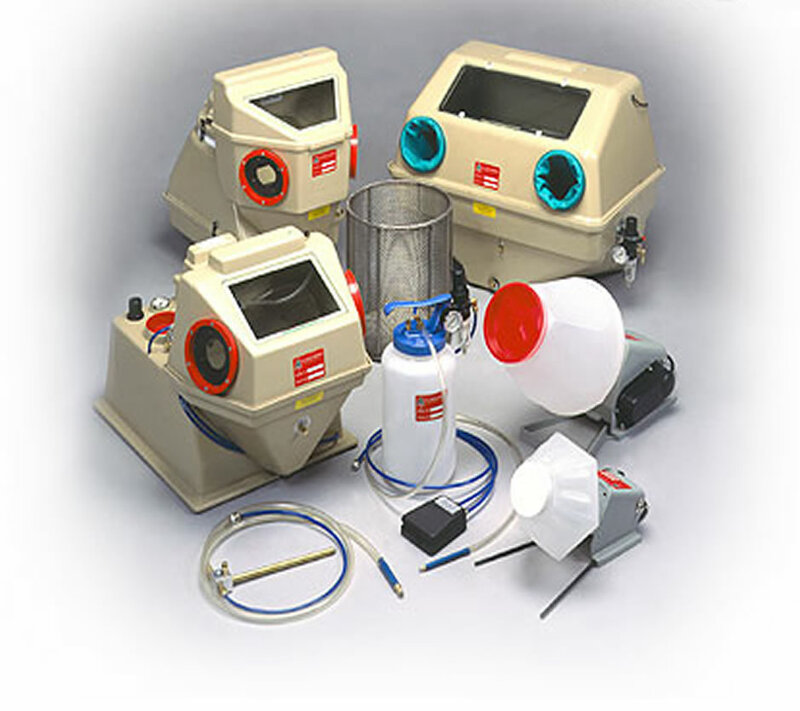 The finishing equipment used for vibratory finishing sometimes combines these functions within one machine in order to provide a more complete finishing service. Combination vibratory finishers contain different compartments of tumbling media, with conveyors connecting the different sections so that parts may be deburred, cleaned, washed, dried and coated. Vibratory finishing can also be either a wet or dry process depending on the part being deburred, and this is a consideration to be decided in constructing the vibratory tumbler. Wet media may be used to apply protective coatings, extra burnishing or a color effect. The tumbling drum, or barrel, is typically open so a manufacturer can observe the parts being finished and determine if the process has reached its optimum goal. Due to its basic design and wide versatility, vibratory finishing equipment is a simple solution to mass finishing of wood, metal, plastic or ceramic parts and is widely used in many industries. Vibratory Finishing Vibratory finishing uses the process of vibration within a barrel or drum-like enclosure to create friction between deburring media and machined parts requiring finishing.